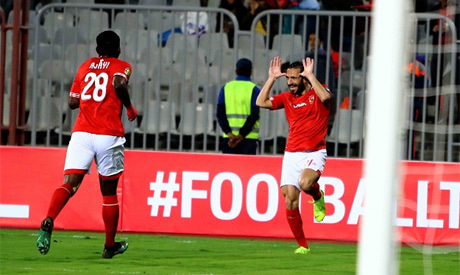 Ahly have ended speculation surrounding the future of their Tunisian left-back Ali Maaloul by extending his contract for three years, the Cairo giants announced on Saturday. The 29-year-old's deal was due to expire at the end of next season amid reports suggesting that he was weighing his options. Ahly also said in a brief statement that midfielder Karim Walid has also penned a five-year contract extension. "Both players and the club were keen on extending the contracts," the Red Devils said on their website. Maaloul has been one of Ahly's key players since joining from Tunisia's Sfaxien in the summer of 2016. He has helped the club win the Egyptian Premier League twice and the Egypt Cup once. The Tunisian international is known for his forays down the flank and inviting crosses. He scored five goals and provided six assists in all competitions so far this season.